Under Armour soft and durable circular knit construction with brushed interior for extra warmth. Signature Moisture Transport System wicks sweat to keep you dry and light. 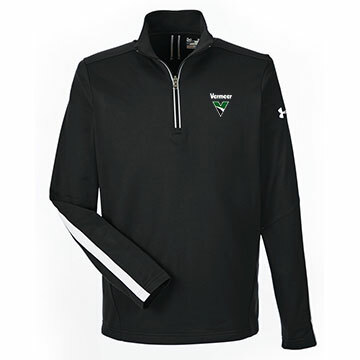 Reflective 1/4 zip for visibility during after-hours training. Contrast fabric overlays on sleeves and collar. Rolled forward shoulder seams for unrivaled comfort. Embroidered logo. 100% Polyester.